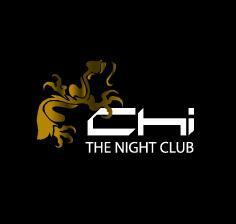 Chi@The Lodge is one of the hip nightclubs that you can find in the locality of Oud Metha in Dubai. This gleaming nightclub is quite favourite especially among expats who visit it to enjoy terrific Djs music which play drum & bass, house, disco, funk and anything that inspires. Basically this nightclub is segregated into four big areas, including an outdoor garden. Guests can stretch their legs if they want a break in VIP cabana or cushioned lounge of Chi@The Lodge. Moreover, ladies nights also take place at Chi@The Lodge, during which selected free drinks are offered to the female guests. - This nightclub provides an awesome dance floor to its visitors. - Djs play foot tapping music. - Chi@The Lodge also serves food to its guests. - Ladies nights also take place. - In addition to this, outdoor seating is available if the guests like to stretch their legs. Chi@The Lodge opens on all seven days of the week and its usual opening hours are from 9:00 pm till 3:00 am. PO Box 113404 - Al Nasr Leisureland - United Arab Emirates. Oud Metha Metro Station 2 is 1.1 kilometres away from Chi@The Lodge. So if a commuter walks from this metro station, he or she can get to Chi@The Lodge in about 14 minutes. To do so, the commuter needs to follow these directions from Oud Metha Metro Station 2. Head south on Oud Metha Road/D 79, then turn right and afterwards turn left. This will bring the commuter to another turn on the left side that will lead him or her to the destination located on the left side. 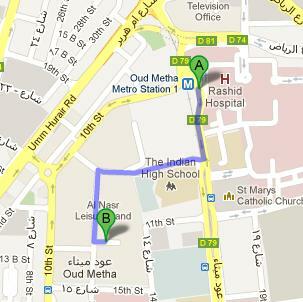 Directions from Oud Metha Metro Station 2 to Chi@The Lodge. A person can also reach Chi@The Lodge by taking bus number 42 or C4, as they will drop him or her at Nasr Sports Club 1 – Dubai, which is the nearest bus stop to this bistro. The gap between these two sites is close to 500 metres, which can be covered on foot in roughly 6 minutes. If a bus passenger heads in the southeast direction from this bus station, then turns right and after that turns left, he/she will find the destination on the left side. Directions from Nasr Sports Club 1 – Dubai to Chi@The Lodge.